Children possess a spark that, when fanned, can lead to big learning. Too often, in our culture, we dampen the flame. 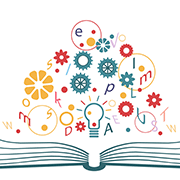 Storytelling engages—whether through books, film, video, spoken word or song—and taps into something primal within us all, turning learning into passion. Our mission is to inspire the next generation of exceptional scientists, artists, leaders, innovators and creators through story, to inspire learning by tapping into that intrinsic spark of creativity, ignite passion to promote the drive for discovery, and encourage exploration and deep learning. Can a teen girl with a cell phone, a dream, and a passion to learn everything become a modern-day da Vinci? Let her story inspire engage, and encourage children of all ages to dream big, learn smart, and follow their dreams! Edge of Yesterday is a play and learn platform for middle school and above. Charley Morton is a STEM-smart girl who has learned how to time travel. She needs to find answers from the past to work with her friends to craft a better future than the one the adults of today have left her. Hop into the adventure by reading the Edge of Yesterday books, or finding Charley's adventure and activities online. The story and web platform invite readers to join Charley's problem solving team and develop the knowledge and skills to navigate home, taking a deep dive into history and geography, along with detours in scientific exploration to spark learning in the process. Teens can engage in games and activities here. We also welcome teens to check on advice on life from Charley & Co. now and then with Dear Charley. 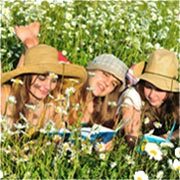 Finally, we invite teens to share original stories, poems, music, drawings, and videos in the Story section of the website. These will be curated and posted on a safe and secure teen-friendly platform. 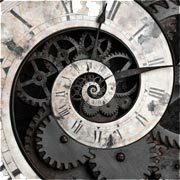 Educators and parents can access a Teachers' Guide to Edge of Yesterday, and background on the facts and fiction of time travel, and the science behind it. 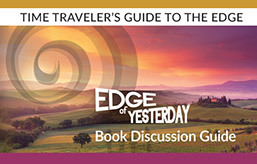 Check out the story at EOY Media: www.EOYMedia.com and read the first chapter of Edge of Yesterday for free! Then check out our news and events page for updates on publication. Edge of Yesterday is the first interactive read and learn engagement platform from EOY Media. Founded by Robin Stevens Payes, EOY Media is a storytelling company building new learning and play platforms for 21st century teens, educators and parents. Robin, who specializes in education and science writing and social marketing, is proud to have successfully raised three kids through their teens—and lived to tell the tale. Through novels, interactive Web platform, games, EdgeMakers projects, and a host of new media under development, Edge of Yesterday aims to inspire and entertain. Through the lens of storytelling, the adventurers of tomorrow can try out the skills—academic, personal and social—and develop the passion to foresee and consciously create their own tomorrow. * Book and app coming soon. Sign up for news and updates. And stay tuned: Charley & Co. may turn up in your life at any moment!